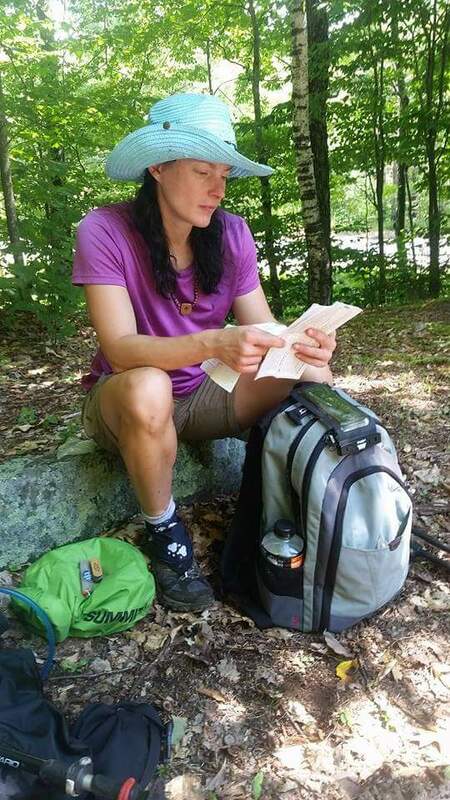 The opportunity to take six months away from real life to attempt an Appalachian Trail thru-hike is a gift of which most people can only dream. 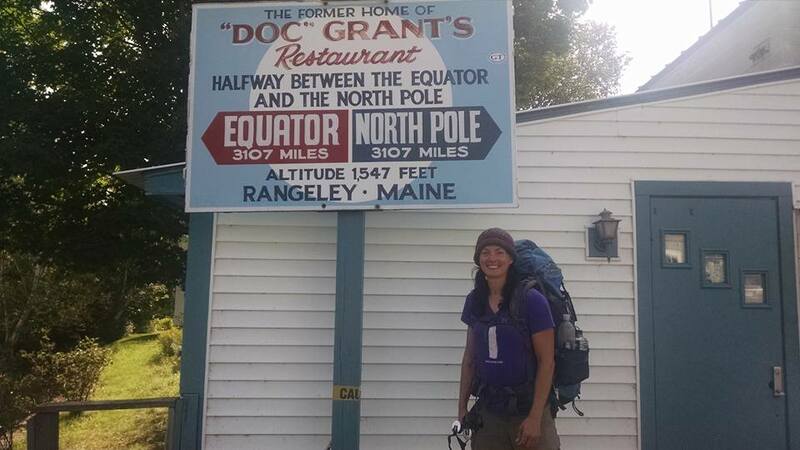 Open your mind to gain a piece of wisdom or two from those who have successfully persevered through months on end of the good and the bad and trekked their way across fourteen mountainous states. The list below was generated from a random survey of recent Appalachian Trail thru-hikers and sums up the eight most common regrets they experienced when their journey was complete. Though many of us wouldn’t change a thing about our journey, this list may provide insight for others to consider before embarking on their own pilgrimage. Leave the trail better than you found it and leave no trace please! #1 – Take tons of photos and videos. This is the regret I hear most often. In my humble opinion, it’s a much better problem to have too many pictures than too few. You need not carry a fancy, heavy camera. A phone works just fine to capture the moments you’ll want to remember forever! Whether it’s a random orphaned puppy rescue from the summit of a thirsty mountain (true story worth reading), small moments with friends, or significant milestones, pictures truly tell a thousand words that even a photogenic memory won’t recall with such precision. Best Monday morning of a lifetime on top of Max Patch, TN! The feeling of only 100 miles left! Surreal! Ahh, the power of a video clip to capture those moments to relive over and over again! Check out a few here. 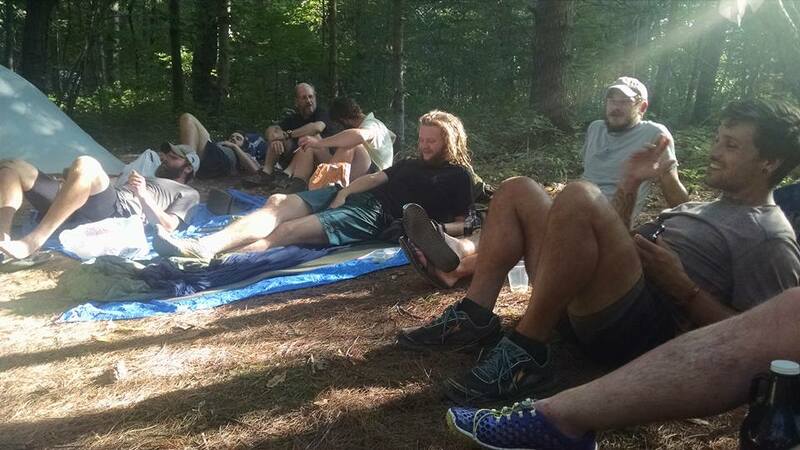 #2 – Give yourself a few extra zero days (in woods and in towns) – A “zero day” is what thru-hikers refer to as a day of rest logging zero A.T. miles. Take days off often! Your body needs the rest, and you’ll make memories of a lifetime. Spend a rainy day reading a book in an A.T. shelter. Go fishing. Visit trail towns and talk to the locals. There’s little reason to rush through this adventure, and the people you meet are what make this journey so special. Most of us wish we had taken a bit more time to smell the roses, so to speak. Video clip of shelter life on the A.T. 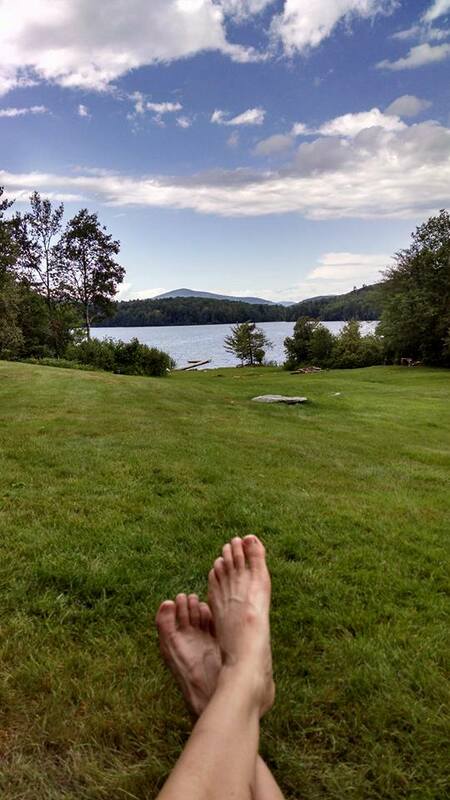 Regret #3: Enjoy a few nights of cowboy camping – My mistake was waiting until Maine to experience the freedom of cowboy camping, a hiker term for sleeping directly under the stars. Our night sky is beautiful from the top of a mountain! Think about it. If the stars only appeared once every hundred years, people would flock to experience them. Instead, we take them for granted, oblivious to the beauty of our universe. Put up your tent as a backup if you must, but lay your sleeping pad and bag directly on the ground and lose yourself in the connect-the-dots game of stargazing. You may discover a new level of peaceful sleep with the sky as your ceiling. Regret #4: Stop to take in the views – Take the time to enjoy more blue blazes along the way. So often we thru-hikers get fixated on miles to complete and we miss out on views that are just a short distance off trail. Spend some time sitting beside that breathtaking lake. Walk an extra half mile to experience an epic vista many other thru-hikers will miss in their haste. Life itself is stressful with constant rushing around. The trail is your reprieve. Stop, relax, and enjoy the journey. #5 Swim often – The common theme of most of the regrets listed in this article centers around not taking time to stop and experience the whole trail experience. Swim, swim, swim. Our hiker life involves fewer showers than normal life. The A.T. brings you across everything from large public lakes to puddle-sized swimming holes and everything in between. You haven’t lived until you’ve stood under a waterfall or jumped from a bridge into a river 30 feet below. 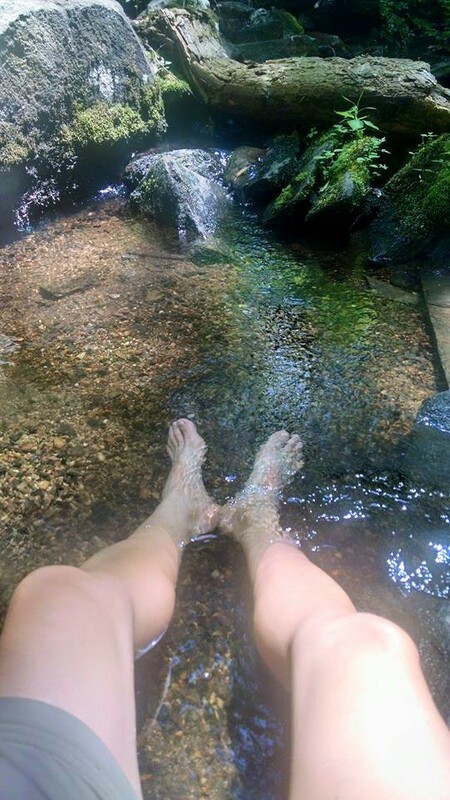 Not only will you feel like a million bucks after a swim on a scorching day, but you’ll smell like it too…well, as close as a thru-hiker can get anyway. #8 Letting others affect miles per day – As incredibly strong as the bonds are between you and your trail family, often people wish they had hiked their own hike rather than taking on someone else’s schedule. 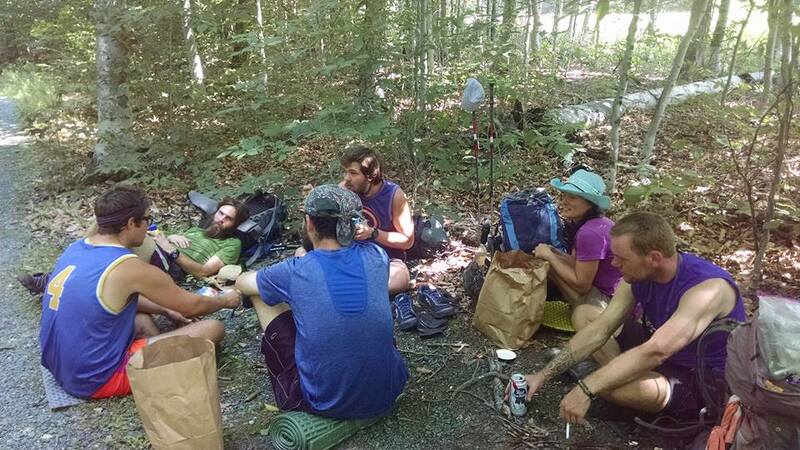 In some cases, being pushed by others to hike harder, faster, longer results in injuries that may end a thru-hike prematurely. 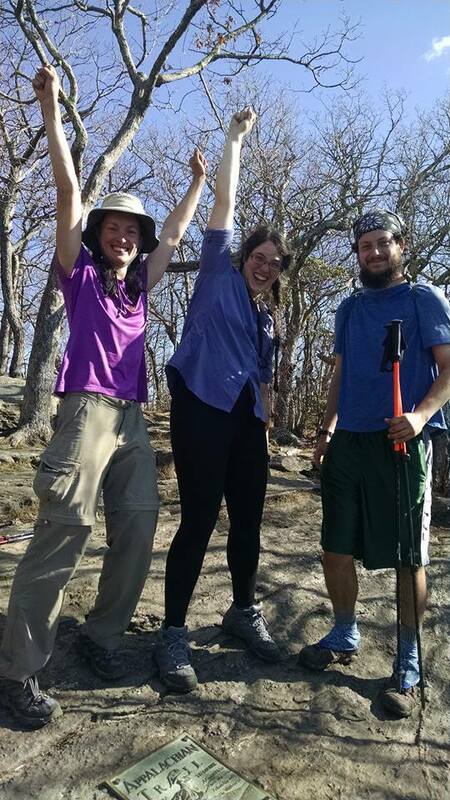 My joy was hiking the first 800 miles on my own, meeting tons of new people along the way, and joining a group later in my hike. This provided me with that “me-time” I desperately needed as well as a trail family to bring companionship toward the end of my adventure. There you have them! The eight suggested bits of wisdom offered by former thru-hikers to alleviate any regrets after your journey of a lifetime is finished. The most important thing is, hike your own hike while adhering to the last Leave No Trace principle, “Be Respectful to Others”. Your A.T. thru-hike may be your only opportunity for complete unadulterated freedom. Enjoy it for the journey, not the destination! Did my thru in 2006, and this list is absolutely correct. Nice article. Yeah! Glad you liked it! My son did his SOBO in 2011. Your comments are spot on. BTW, we own The Apple House in Linden, Virginia. 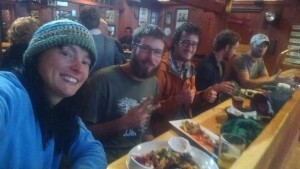 Three hikers in for breakfast this AM. Love Hikers ! DONUTS here ! My son is hiking the whole trail this summer and it has been a wonderful experience for me just seeing his posts,pictures and videos . 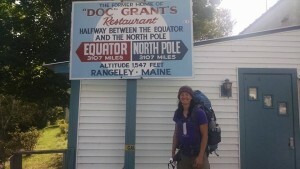 I congratulate all hikers on the AT and wish them the best of everything they are experiencing. Hi Clarity.Thank you. Having a record of this most momentous journey will be important to me and taking it slow as to not miss anything.. I don’t want to miss the people , the vistas, the random little moments, and all the wonders each town I stop in has to offer. I truly want to enjoy the journey. Good reminders Really appreciate your thoughts. 2017 hopeful. If I might add one more: bypassing wild edibles. If it’s Fall you’ll likely see a apple tree, summer you have berries, spring it’s ramps. They’re awesome.